Dana Galiano and Dawn Wallace were sworn in as newly elected members and John Schmus was re-elected for his 11th term. 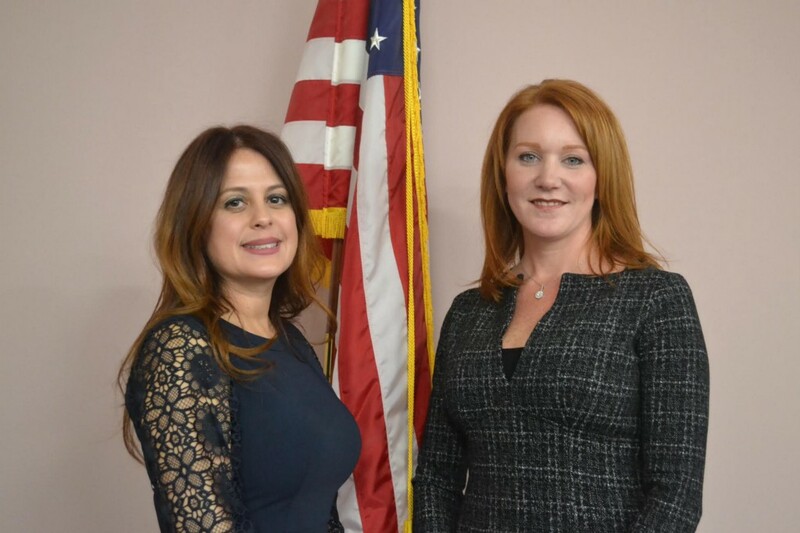 Some new faces joined the Voorhees Township Board of Education during the board’s annual reorganization meeting last week. Solicitor Howard Mendelson swore in newly elected members Dana Galiano and Dawn Wallace, as well as returning member John Schmus, who will be starting his 11th term. “My priority this year is the same priority it’s been the last 30 years for me, and that is to put the children of Voorhees first and foremost all the time,” Schmus said. Wallace and Galiano ran for the open seats in last November’s election because they want to be more involved behind the scenes and are hoping to bring change and a new perspective from parents who have children in the school district. “A lot of things are popping up on our radar now, things that could be changed from what we hear from teachers, students and parents and what we’ve dealt with, and informing some of the board members that don’t have children in the schools,” said Wallace, who has three children in the school district. Richard Nelson was selected as president and Bruce Karpf was selected as vice president. The board of education’s upcoming meeting is scheduled for Wednesday, Jan. 25 at Signal Hill Elementary School.